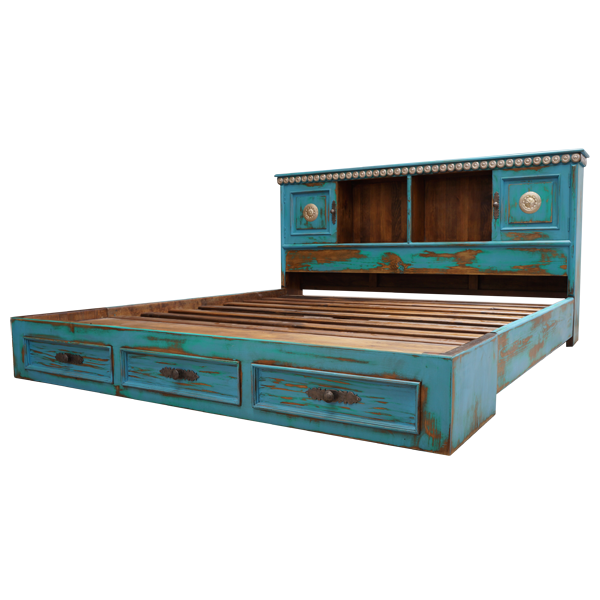 The distressed, turquoise finish and the hand tooled conchos of this handcrafted, Santa Fe style bed will bring an elegant, antique feel to your bedroom décor. 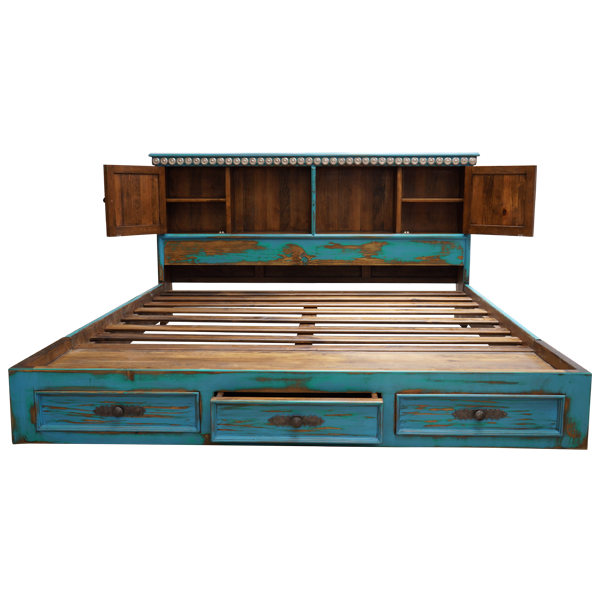 The bed has a rectangular, solid wood headboard, with a classic, beveled, top rim. The front and the side areas directly below the rim are adorned with exquisite, silver finished, hand forged, iron conchos. Centered in the front of the headboard is a large, open space, divided by a solid wood upright. The practical, open area is perfect for placing books, and it has a beautiful, natural finish. On each side of the open area is a rectangular door, with a silver finished, hand forged, iron concho in its center. Inside each door is a practical storage area, and each door has a hand forged, iron handle on its side. The bed is constructed without a footboard, and at the end of the bed are three, horizontal, rectangular drawers. Each drawer has a silver finished, hand forged, iron handle in its center. The bed is made with the best, sustainable, solid wood available, and it is 100% customizable. 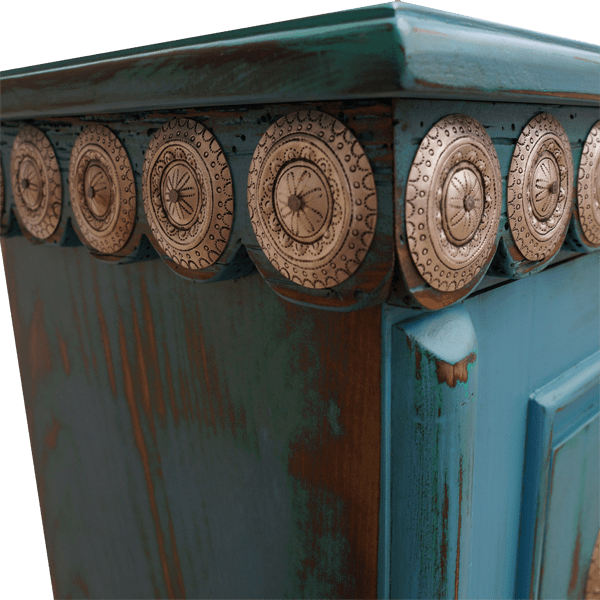 It can be accompanied with our Las Cruces end tables (etbl29 or etbl29I), with our Las Cruces armoires (arm13A or arm13B), or with our Las Cruces dresser (dress24).